It’s been a big year for Lao American actress Sydney Viengluang, who has been on the rise, from short films to a recurring role on the popular SyFy zombie horror show Z Nation, where, to many viewers surprise, she made it all of the way to the end. Currently based in Los Angeles, her roots took her from Vientiane, Laos to life in the refugee camps of Thailand and the Phillipines and a Midwestern childhood in Wichita, Kansas. She starred as the daughter Phon in the short film The Letter, about a Lao American family, which took home three awards at the Different Faces Different Voices Film Festival including Best Drama in 2016. 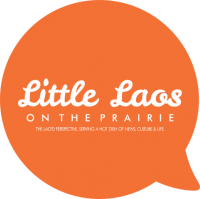 Little Laos on the Prairie had a chance to catch up with her recently before the upcoming premiere of season 4 of Z Nation. Congratulations on surviving the 3rd season of Z Nation! Were you surprised? In addition to Z Nation, 2016 was a very big year for you with the release of Isle of the Dead, The Letter, and appearances on Jane the Virgin and Criminal Minds: Beyond Borders. What helped you to get so much out at once? I think the stars just aligned and all my hard work finally paid off and manifested into something tangible. Luckily, I had a really good team that was also helping me get out there for the auditions. Also, just meeting the right people who will go to bat for ya and truly believe in you. What were some of your favorite parts about filming The Letter, and what was the biggest challenge you saw from the experience? I think just seeing something through from start (developing and writing the story) to finish (screening it and winning the festival challenge) was really rewarding. To know you created a whole piece of work is a great feeling. My biggest challenge was wearing multiple hats at once as an actor and producer, whereas for most projects, I’m just solely focusing on performing in front of the screen. Also, funding. That’s usually number one on anyone’s list when you self-produce. Fans have been responding really well to your character of Dr. Sun Mei on Z-Nation. What are some of the standout examples of fan art you’ve received so far? The fans are great. The best fan art I’ve received was a Sun Mei action figure. That was pretty amazing and surreal to get that. I was very honored that someone took the time to do that. He also had me sign a backing of another one so he could make one for his daughter. Long story short, I came out to LA to work on the business/finance side of the movie industry. I landed my first job at a major studio as an accounting clerk and after a year behind a desk, I knew my calling was something else–something bigger than myself. I took my first acting class, fell in love with it, and haven’t look back since. It looks like the character of Sun Mei is the first recurring Lao character in an ongoing American TV series. How did her background come about? Sun Mei was originally written to be Chinese. After I booked the role, the producers/writers decided to change her ethnicity to reflect mine, which I thought was awesome and very thoughtful of them to do so. What are the types of roles you’re looking for these days to challenge yourself? Honestly, just getting more meaty, three-dimensional, non-stereotypical roles are nice. But if I had to drill down more, I like exploring characters who are very flawed and different than me. What are some of the stories that stick with you most about your family’s journey from Laos to America? I always remember the story of when my parents escaped and had to drug me as an infant so I wouldn’t cry as they crossed the Mekong River. Another story is how my dad told us that he only had one single dollar in his pocket on our flight to America. That story always reminds me of how far we’ve come. Papaya salad. I love spicy food. What are some of your all-time favorite scary movies? Alien. Chucky. The Others. The Silence of the Lambs. The Conjuring. What advice would you give to young people who want to start acting in Hollywood? Focus on studying the craft, but don’t forget about networking. Forming a strong support system of friends and family and an artistic community is vital, especially when times get tough. I think living a full balanced life and becoming a well-rounded person is also very important. The more experiences/emotional life you have, the better you’ll be as an actor to empathize and understand humanity and bring that to your craft. What are some other upcoming projects of yours we should keep an eye out for? Z Nation season 4 premieres Sept. 29th on the SyFy network, so keep an eye out for me. Is she Hmong or Laotion?? Katie Honey, Sydney Viengluang is real Laotian name. She’s gorgeous and great actress! She’s such a good kid for her parents. She gave the whole money from first acting (movie) to her parents.